February 20, 2012 | Posted by Lee C.
Winter weather is still here for most of us. The ground hog saw his shadow and promised 6 more weeks of winter. It’s good for the skiers and snowmobile riders, but bad for those of us that like to stay warm. For anyone that lives in the northern part of the country you know that February, March and even April can have their share of surprise snow storms and cold spells. This means that you’ll be looking for ways to keep warm and that includes nighttime. Here are a few tips for staying warm and cozy for these last few months of winter. Winter bedding is something people love. A cozy, warm bed is something to look forward to when the weather turns cold and nasty. Chunky Fabrics – Heavy blankets that are chunky are great for winter bedding. You can really feel the texture and comfort with blankets that have some density to them. It’s a great way to get warm and comfortable when you lay down in bed. Layers – Layering is important when you venture outside in the cold, but it’s also perfect for inside. Use layers of sheets and blankets and comforters for your winter bedding layout. Go from the thinnest material all the way up to the chunky, heavy material on the top. A soft linen covered by a heavy comforter can really feel wonderful and it will keep you warm throughout the night. Bamboo Sheets – In the hot months, it’s important to have a bed linen that wicks away moisture. Bamboo sheets are great for warm weather climates, but the same elements that make bamboo great for summer also make it great for winter. By allowing any moisture to wick away from your body, bamboo sheets can keep your skin comfortably warm in the winter. As you sleep, especially under heavy blankets, you can get a little too warm. To ensure comfort throughout the night you can use bamboo sheets to keep your body temperature regulated throughout the night. Even though the groundhog says more winter is on the way there is no reason to be let down. It means you can enjoy a few more weeks of comfort in bed. There are some great ways to stay warm in bed during the winter and some even prefer the cozy feeling of big, chunky blankets. They’ll keep you warm until springtime. Is Egyptian Cotton Worth Extra Money? 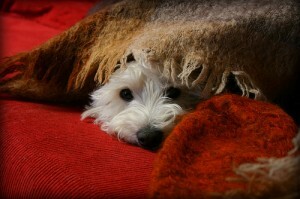 February 16, 2012 | Posted by Lee C.
Egyptian cotton is about quality. For decades, even centuries, people have dreamed of having the finest quality bed linens and Egyptian cotton is often a sought after bedding material. But is all Egyptian cotton created equal? And is it really worth paying more money for Egyptian cotton? Here are a few tips on how to choose the best bed linen material for your bed. It might be Egyptian cotton, but make sure you’re looking at only the best of the best. Egyptian cotton has historically been the highest grade of cotton in the world. 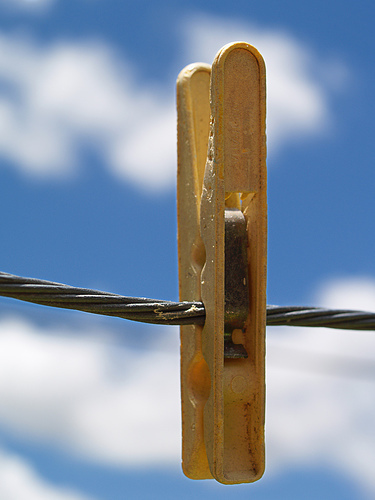 It will rank right above Pima cotton, which has become another popular material. There is a reason the idea of Egyptian cotton in the bedroom has brought about visions of peaceful and comfortable sleep for generations. The cotton tradition in Egypt is distinguished. Cotton in Egypt and other areas of the world was handspun for thousands of years until the development of spinning machines in the 1700s. Throughout the 1800s, Europe was in need of quality cotton. The commercialization of the Egyptian cotton industry occurred and the branding began. It was quite the amazing feat to become a worldwide standard for quality in a product that is now a commodity. 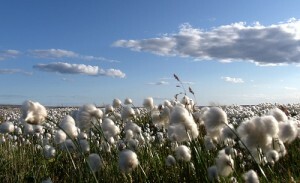 Over the years, many merchants have begun selling cotton branded as Egyptian cotton. As with most successful ventures, there are always impersonators. It can be difficult to know you’re getting the best quality when purchasing Egyptian cotton today. Much Egyptian cotton is imported from other countries. The branding machine of Egyptian cotton has made people believe all cotton from Egypt is the best. While Egyptian cotton is still the best, it is important to pay attention to the common items you would with any bed sheets: thread count, durability factor and even price. The price will often be the determinant, but verify other factors including the country of origin of the cotton on the purity of the cotton in the linens. Blends care popular, but 100% cotton is often the best and softest you will find. For quality cotton sheets you are likely looking for something with 500+ thread count with origin and manufacturing country in Egypt. Look for cottons with minimal dyeing and other machined items. This will ensure the best sleeping experience. Your comfort is important. Egyptian cotton sheets are still the best. As long as you are aware of a few key decision points you will find that Egyptian cotton sheets are a valuable investment. February 9, 2012 | Posted by Lee C.
Sealy has made an innovation in mattresses. Sealy, one of the world’s largest mattress brands, has made another breakthrough in sleep comfort. The company is planning to release a new gel memory foam mattress that will keep sleepers nice and cool. OptiCool™ gel memory foam is fused with OUTLAST® material, which is more effective for removing excess heat during the night. This new mattress technology promises to provide a cooler sleeping situation for customers. In the past, memory foam mattresses have had a tendency to retain some heat. As sleepers rest, they give off body heat and memory foam mattresses would retain some of that heat. As a result, sleepers could become too hot causing some discomfort. This was only a small issue with memory mattresses, which have been extremely popular in recent years. Memory foam provides a comfortable sleeping mattress and eliminates most of the toss and turn from a sleeping partner in the night. But the heat has been the one small issue with memory foam. Now, Sealy has improved on the memory foam mattress by eliminating some of memory foam’s heat-retaining ability. The new gel solution promises to keep people cooler, which could lead to even better sleep. We’ve mentioned before here on the Cozytown blog that the ideal temperature for sleeping is around 68 degrees Fahrenheit. This temperature allows the body to rest comfortably while allowing a person the best chance to sleep a full 8 hours. Memory foam has been popular in the mattress world for about 15 to 20 years. Before becoming popular as a mattress solution, memory foam was developed back in the 1960s as a way to improve cushions for various vehicles including the space shuttle and airplanes. Today, memory foam remains a popular solution for various consumer goods, but the mattress is one of the most popular. With the various solutions, sizes and styles of memory foam offer something for everyone; it can be difficult to find sheets for memory foam mattresses. Custom sheets can go a long way to topping off your memory foam mattress purchase. The sheets may not be as important as the mattress, but you want to make sure you’re taking full advantage of that mattress when you lay down to sleep. If you plan on investing in one of the new Sealy gel foam mattresses be sure to report back. We’re curious to see how effective it can be at keeping things cool. February 6, 2012 | Posted by Lee C.
Changing bed sheets is something most people don’t like doing. Yet when it’s done we love the feeling of crawling into a fresh, comfortable bed. There is just something delightful about feeling the soft texture of fresh linens on your body. The question is – how often should we change our bed sheets? If you’re like most people, you had a mother that got you ready for laundry every Saturday morning. In most houses, it seems, Saturday is laundry day. Everybody is home from work or school and it’s the perfect time to rally the troops and clean the house. Changing bed sheets weekly is the best. It can be easy to get into a routine like changing the bed sheets every Saturday or Sunday or any other day of the week that works for you. You spend nearly 8 hours each day in your bed. That is one third of your time each week spent in bed. This is a lot of time and your body will naturally shed skin, release oils and cleanse itself of other items like hair and bacteria. Changing sheets each week is a good way to cleanse your bed sheets of the items your body discharges each week. Your body knows it has to clean itself. You can do the same each week with your bed sheets. Dust settles on the floor and on your bed. If you think about how a table or surface looks after just one week then you will realize what your bed likely looks like after the same amount of time. It’s good to clean your sheets to keep this dust, which is often an allergen, off your body and away from your respiratory system. Bacteria can form anywhere in a short period of time. It’s good to wash your sheets weekly in hot water to ensure that all bacteria are killed. Most bed sheets today are designed to withstand hot washing cycles. By using the hot cycle with a good detergent you can ensure all bacteria that forms on your bed throughout the week will be eradicated. From there, you can make your bed with fresh sheets and rest in peace tonight. February 3, 2012 | Posted by Lee C.
Over 25 percent of Americans suffer from occasional sleep deprivation. If you’re like most people, the temperature in your bedroom can cause sleep issues. Sleep experts recommend a temperature of approximately 68 degrees Fahrenheit for optimal sleeping. This temperature is ideal for a resting body. Higher temperatures can cause discomfort. Lower temperatures can as well. During the warm months of the year it can be difficult to cool temperatures down to 68 degrees. 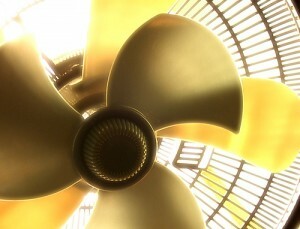 Most folks focus on saving energy by setting the thermostats a little higher. This can cause discomfort in the evenings as you lay in bed trying to sleep. If you’re body is too warm it will sweat and you will suffer from sleep loss. There is a solution, though, and it might be something you haven’t considered. Traditionally, wool has been a great insulator during the cold months of the year. For centuries, wool has been used to keep your body heat insulated, protecting you from the elements. For the same reasons, wool is an excellent material for bedding in the summertime. The same traits that make wool a great wintertime insulator also make it great for keeping your body temperature cool. A wool mattress topper is something you can add to your mattress. The most important trait of the wool pad is that it will wick away any moisture away from your body and your bed linens. This keeps you feeling cooler and more comfortable during the summer months. A wool mattress topper will provide you some relief so you can still save on energy costs while not compromising a good night’s sleep. The investment in the pad will pay for itself, as you will feel more energized and productive during the day. You will also be thankful when the energy bill arrives and costs are down from last year. There are other advantages with wool bedding materials including the fact that the wool is mold resistant and repels dust mites. 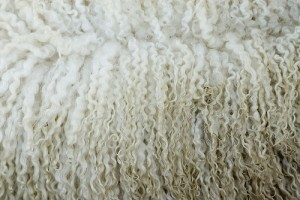 For more on wool, consider a previous article on the Cozytown blog Sheep Good on an Organic Wool Mattress Pad. Wool is a viable option for warm weather bedding. Change the way you think about wool and consider using it to keep you cool. It’s a change in thinking for many, but you’ll be changing the minds of others when you wake up with more energy in the morning after sleeping for eight uninterrupted hours.